Learn about the artist, Scott Thompson, what his background is and how and why he got into glass. Check out pictures of some of our latest pieces. 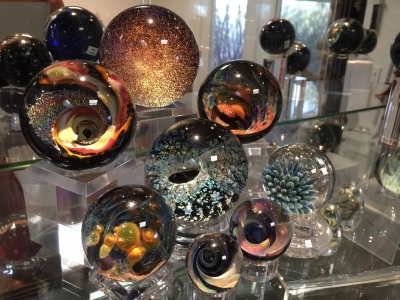 What is Memorial Art and why Scott got into creating these specialized glass pieces for his customer. We sell our products on Etsy. You can check out the items we currently have available by clicking the button above. We only have a fraction of our products up on Etsy so if you don't see what you're looking for, send us an email, we'd be more than happy to check our stock for the item you're looking for.